We spoke to Sumon Das, an alumnus, who recently passed out of the Department of Civil Engineering (batch of 2018). He is currently pursuing his Ph.D at Columbia University, an Ivy league college. We detail some of the foolproof fundaes he passed on to us from his experience. The following excerpt is taken from a telephonic conversation with him. 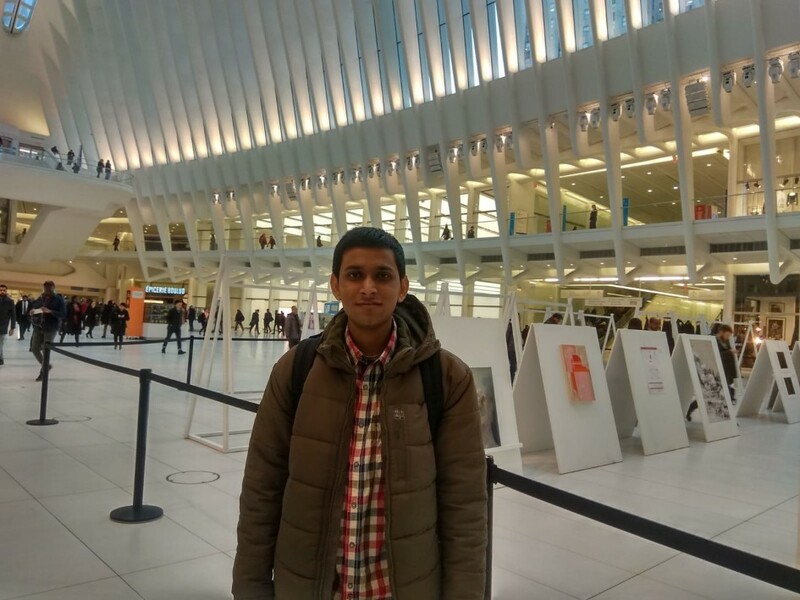 Located in Manhattan, New York city, CU proved to be quite a new experience for Sumon. He found the climate there to be much colder than what he was accustomed to. In fact, he was out when I called and he had to come into his room before being able to talk without the cold waves hitting him! Being an expensive city, eating out everyday is not a viable option in the long run and can cut a hole in your pockets, he says. He cooks his meals, like most other students there. Accommodation can also get quite pricey, given that it is a prime part of the city. He shares his house with a friend. Sumon likes his new campus and life there. A lot of his neighbours are very friendly and helpful. Apart from his own research work, Sumon is a teaching assistant for a course at the University, and regularly interacts and helps out his juniors who are crediting the course. The role of a TA there, is very serious, he explains. They have set office hours and interact with students to help them out with any problems and queries they might have. The city is very cosmopolitan and one gets to see and experience so many different cultures, he adds. Like most other universities in the U.S. A., foreign students are required to get a good GRE score as well as write out a clear and detailed statement of purpose(SOP). Recommendation letters from good professors who know you well are required. To have worked in the field of your interest beforehand, either as part of a project or internship elsewhere, certainly helps. Apart from this, if you’ve published any papers on your work, that would be a huge bonus too! It is important to identify whether your temperament is research-compatible too. This, one can know, by working on projects and interacting with those in the field already. Sumon also mentions that familiarising yourself with what the professors at various universities are working on, can help in deciding your path. While Sumon had the option of joining the Ph.D programme at many other universities, some of which were ranked higher than Columbia in his field, he chose what he did. The main reason for this, he says, is that he looked at the work various professors were doing and chose according to where a professor of his specific area of interest worked. While some people might like to choose a university first, he feels that choosing a professor first is important and can be seen as a more rational approach. One should also keep in mind which departments in a university are doing better work than their counterparts and factor that in too, he says. Columbia University is reputed for its various interdisciplinary programmes and Sumon feels that interdisciplinary research will bring about many major advances in science and engineering in the days to come. He mentions that he never really let the syllabus of a course limit his learning and went well beyond what was adequate, to satisfy his need for completeness and full comprehension of what was happening. Apart from playing a role in organising the CEA Fest, Sumon didn’t actively take up many PoRs as he knew very early what he wanted and stuck to that. One thing that set him apart from the average research enthu UG was his habit of visiting the various labs in insti and familiarising himself with the kind of work that was going on there. He met with professors as well as research scholars to get a more clear perspective about the research-oriented life. Apart from these professional lessons, he feels that insti, and the strong bonds he made here with friends, have taught him many valuable lessons and etched beautiful memories that he will treasure forever.